(l-r) John Alexander, Alanis Morissette & Glen Ballard. Update: John Alexander has left his position at ASCAP. During the past two decades, John Alexander (who is now Senior Vice President of Membership for ASCAP) has been a lead singer in a band, an artist manager, and a top A&R and publishing executive. He has enjoyed success at each stage of his career, but his landmark achievement has been his long-term, publishing and A&R relationship with Grammy-winning artist, Alanis Morissette. Alexander signed Morissette to her first publishing and label deals when she was 14-years-old, and then helped guide her career from her early Canadian success to her multi-platinum, artistic breakthrough, Jagged Little Pill. Morissette signed with Maverick, and then she and Ballard completed recording of the Jagged Little Pill album. Everyone involved was quietly confident that the album would be successful, although certainly no one could predict the magnitude of the album’s eventual impact. Morissette eventually followed up this success with her hit “Uninvited” (from the City Of Angels soundtrack), which won Grammy Awards for “Best Rock Song” and “Best Rock Vocal Performance, Female,” and her multi-platinum Supposed Former Infatuation Junkie album. She has written, produced and is currently mixing her new album, which will be released later this year. 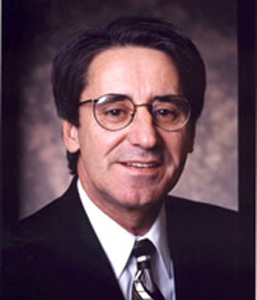 In 1991, Alexander was named Vice President of Talent Acquisition, East Coast, for MCA Publishing. He moved to New York, and started working with U.S. writers, artists and producers. A year later, Alexander was promoted to the position of Senior Vice President of A&R, North America. It was also during this period that Morissette was seeking a manager to work with. Based on a referral by MCA Creative Manager Sherry Orson, Alexander met with Scott Welch, and after hearing Morissette’s two albums and seeing her videos, Welch told Alexander that he really wanted to work with her, and soonafter, Alexander introduced Welch to Morissette. Morissette initiated several, new writing collaborations. She started working with different collaborators in New York, Toronto and Vancouver. Alexander assisted Morissette in this process, helping to set up collaborations for her. Morissette then told Alexander that she planned to come to Los Angeles to write. Ballard was already established as a top writer/producer in Los Angeles. He had produced and co-written hits for Wilson Phillips, Curtis Stigers and Jack Wagner, and had co-written the classic “Man In The Mirror” for Michael Jackson. 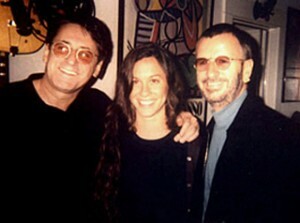 John Alexander, Alanis Morissette & Ringo Starr.